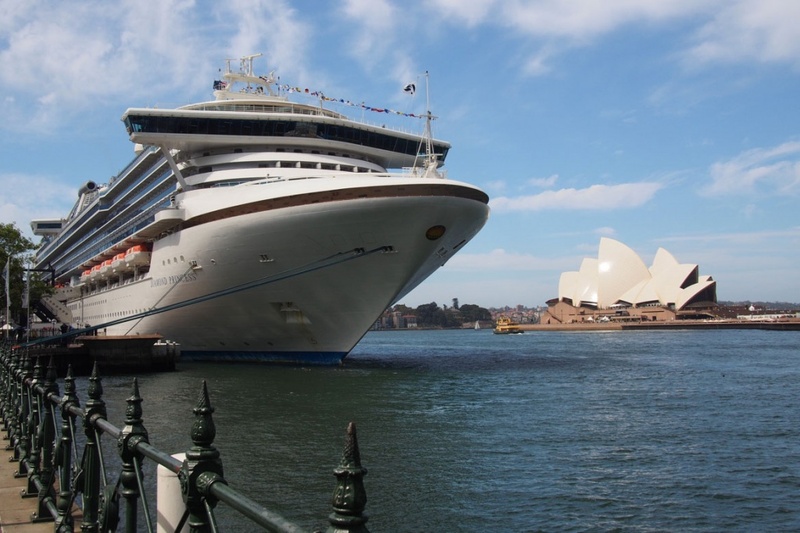 The Diamond Princess was launched in 2004 and underwent a $30 million refurbishment upgrade in 2013, resulting in a ship that looks sparkling brand new. 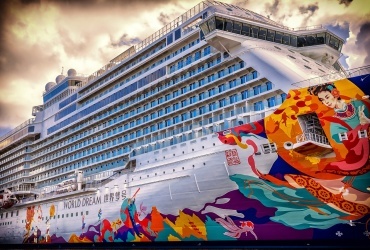 Built in Japan, with many itineraries scheduled around Asia and Australasia, the vessel is embellished to suit the region, featuring lots of shimmering brass and glass, plus huge ornamental statues of peacocks, dragons and mermaids adorning the atrium. 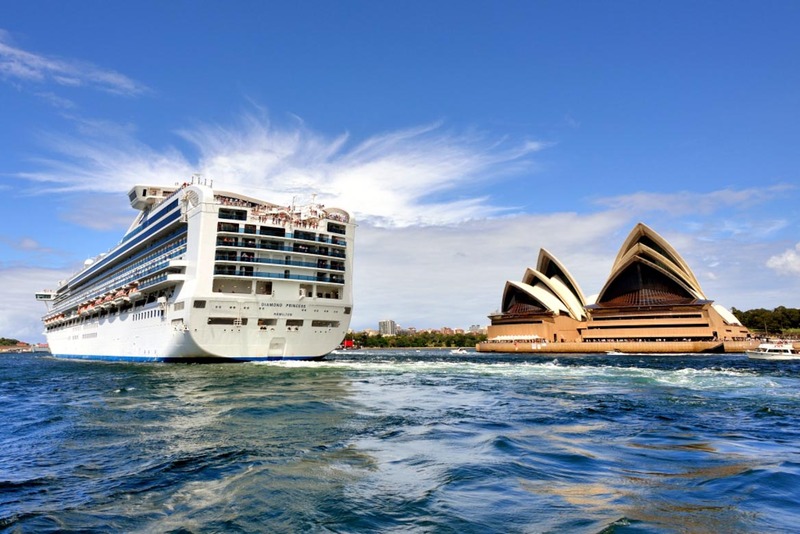 Passengers on the Diamond Princess Australian, New Zealand and Asian tours are mostly a mix of polite Japanese and laid-back Australian / New Zealander cruisers. Cultural differences are soon forgotten as the Diamond Princess entertainment schedule lures everyone to enjoy dance, nightly shows, and the opportunity to witness Japanese ladies in beautiful kimonos during formal nights onboard. 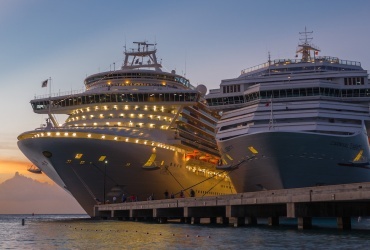 In fact, the power of dance and music to loosen inhibitions is a master-stroke of entertainment scheduling on Diamond Princess mixed-race voyages. 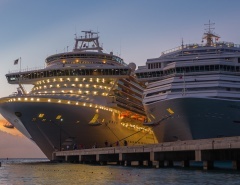 At least five onboard venues feature music every night, from cool jazz in the Atrium to disco, pop and even ballroom dancing at alternative bars and venues. 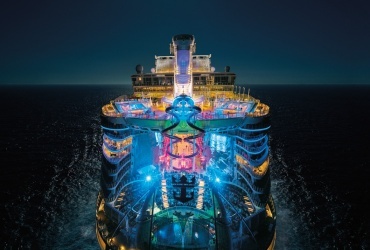 On nights when you choose to leave your dancing shoes in the cabin, there are showtime entertainments, comedy acts, magicians and trivia contests to attend. Alternatively, kick back in your room and enjoy one of the many movies on demand on your own in-cabin TV. 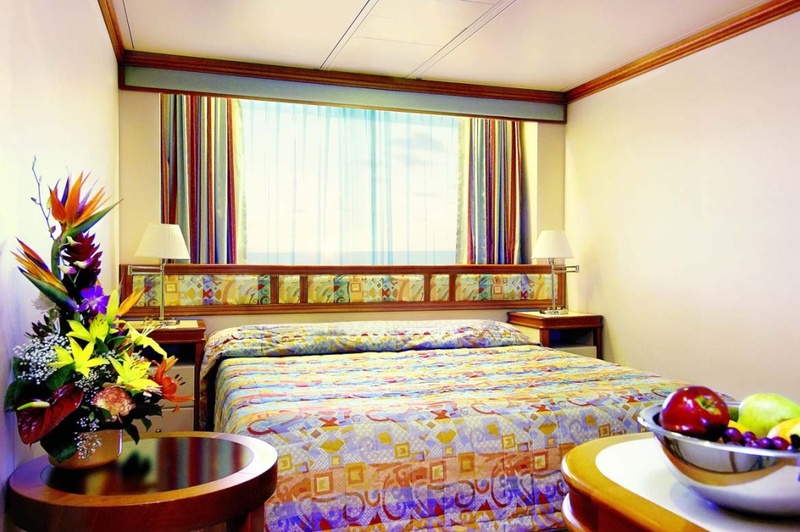 Interior staterooms: The lowest budget option, suitable for one or two people. Amenities include twin beds convertible to queen-size, bedside tables with drawers, a desk and an extra chair. 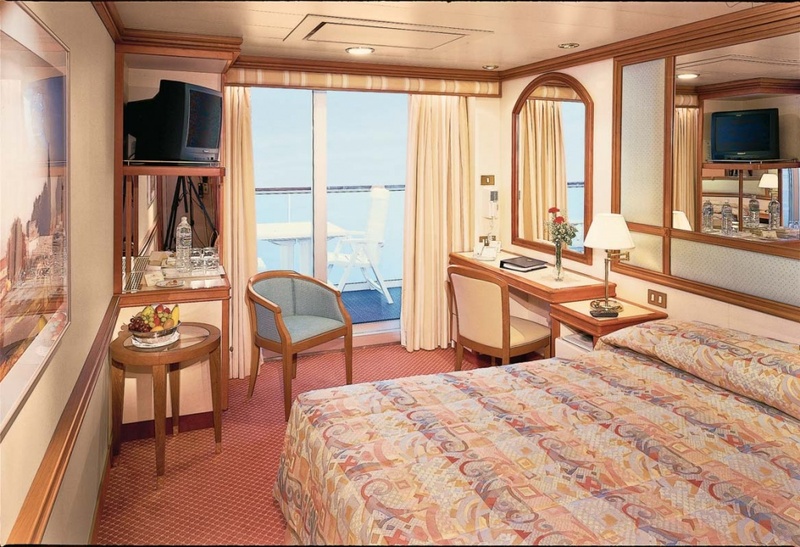 Oceanview staterooms: Similarly decorated to interior cabins and featuring a picture window for panoramic views of the ocean and scenery. Sizes vary slightly and some rooms have obstructed views. 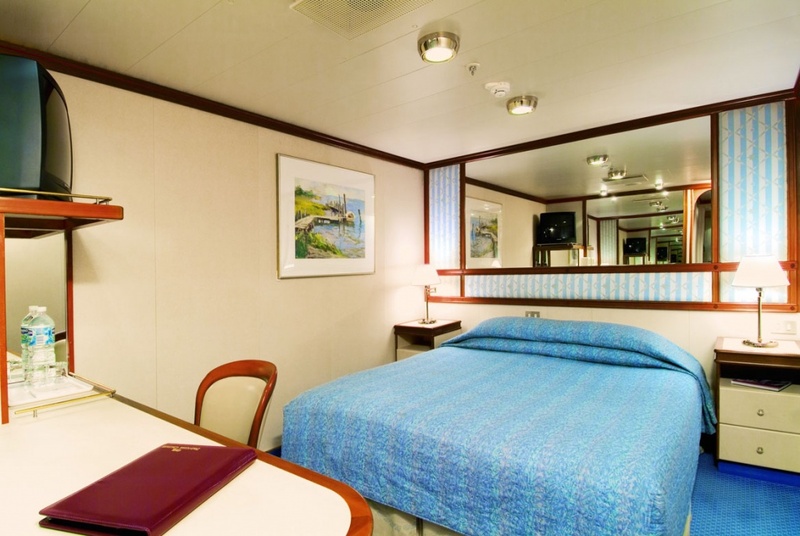 There are also some slightly larger premium oceanview cabins. 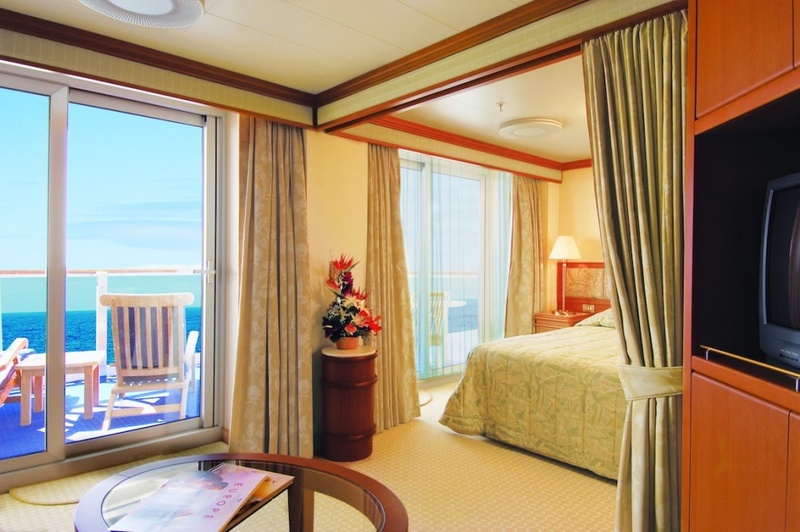 Balcony: The majority of Diamond Princess cabins feature a balcony. The balcony includes a table and chairs Some of these cabins also include Pullman beds for extra passengers. 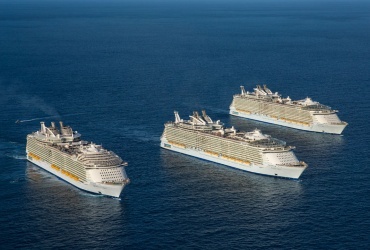 These are slightly larger than interior cabins. Mini-suites: Approximately one third larger than interior cabins, the Mini-suites comfortably accommodate three passengers and feature a balcony. They have designated sitting and sleeping areas, plus a bathtub as well as a shower. An additional flat-screen TV and extra shelf space is also provided. 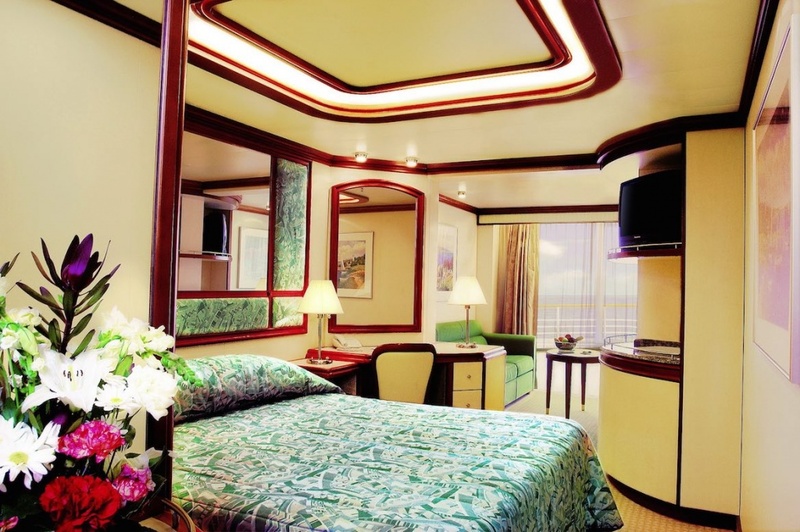 Suites: Diamond Princess has four Suite categories ranging in size from 60 square metres to 275 square metres. Balcony size is also variable; up to 129 square metres. Larger balconies include sun loungers. Suites include a full bathroom and walk-in closet, and select suites also incorporate a hot tub. Additional treats for suite passengers include a complimentary mini-bar set up, fresh flowers and exclusive toiletries. Suite passengers enjoy express embarkation, free laundry services, free use of the Lotus Spa thermal suite, elite lounge services, and a DVD player with access to the DVD library. Horizon Court: The casual dining buffet for breakfast, lunch and dinner. Here you can get cereals, fruits, toast, pasta, Asian dishes and much more. Trident Grill: Traditional burgers and hot dogs. Prego: Pizza selections that are perfect for enjoying beside the pool. Lobby Bar: A selection of pastries can be enjoyed here, along with a free coffee. Swirls: Free ice cream served in a cone or cup, open between 11 am and 10 pm. 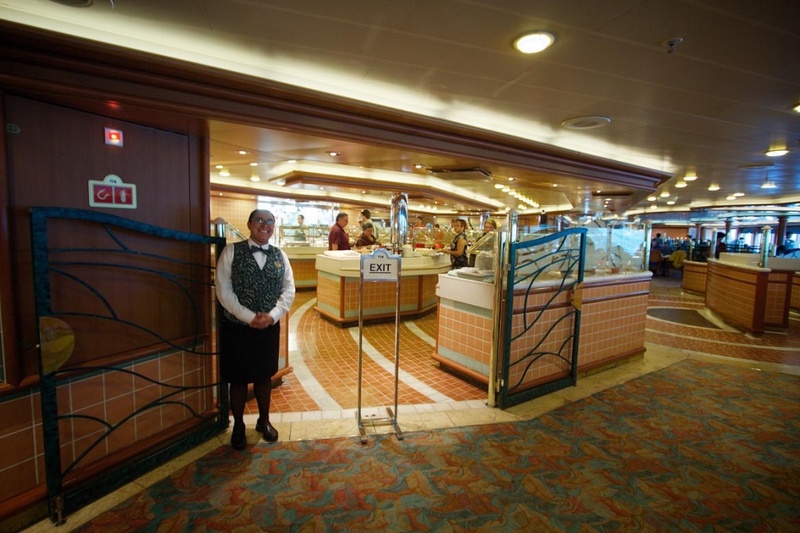 There are also three restaurants on Diamond Princess that come with a surcharge. 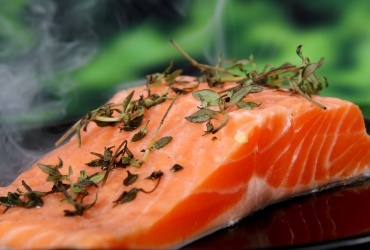 Sabatini’s is big on Italian fare and seafood, the Sterling Steakhouse is a meat-eaters delight, and Kai Sushi is popular for those wanting to experience genuine Japanese-style cuisine. Diamond Princess is classy and elegant rather than ostentatious and exhilarating However, there is still plenty do do onboard for people of all ages. 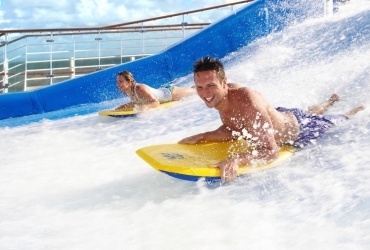 Daytime activities may seem a little dated compared to the theme park experiences of mega-ships, but it is a matter of choice anyway. Passengers can enjoy dance classes, trivia contests, auctions,indoor obstacle races, photography, ping pong tournaments and movies under the stars (daytime). It’s night time when the real action happens, and the Diamond Princess focusses on music and dance. The Princess Theatre: Song and dance productions, comedians, magicians, afternoon movies. Club Fusion: Ballroom and Latin dancing, including dance lessons. Churchill’s Cigar Lounge: A smokers hangout to indulge in a cigar and enjoy sports on TV. Crooners Martini Bar: Crooners comes alive in the evening with piano music and sing-alongs. Explorers Lounge: An Egyptian themed nightclub lounge with live music and comedy. 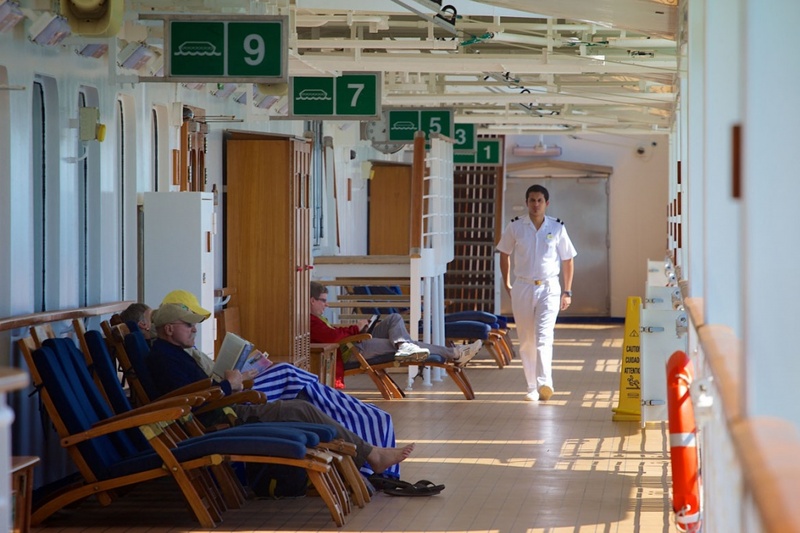 Wheelhouse Bar: This lounge located on Deck 7 provides plush leather seating, nautical décor and live music at night. 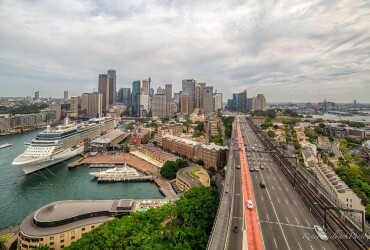 Outdoor Bars: With tropical North Queensland, the South Pacific, and Asia to explore, it’s not surprising that many passengers gravitate to the outside bars for enjoyment under the stars. 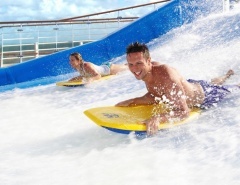 Outdoor bars are scattered throughout the Diamond Princess, and there is every chance of making new friends at the Outrigger Bar, Calypso Bar, Mermaid’s Tail Bar, Tradewinds Bar and Oasis Bar. The secluded Wake View Bar is a favourite spot at the aft of the vessel. 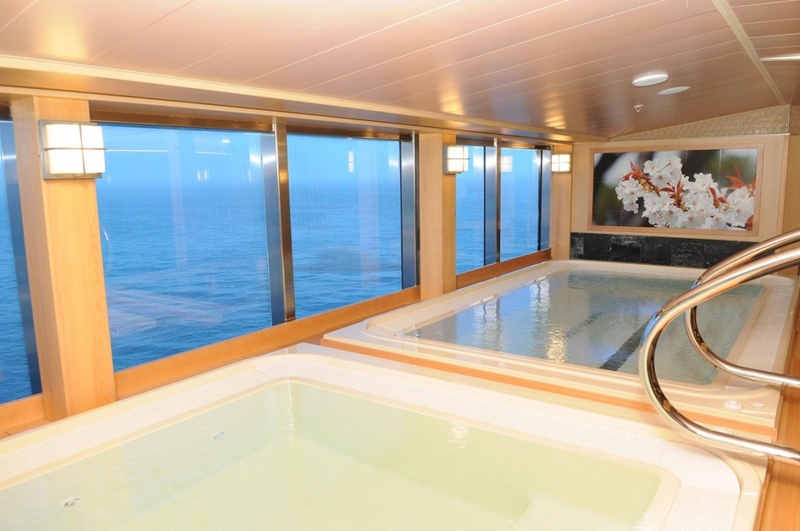 In true cruise ship style, Diamond Princess provides a range of water-based areas for exercise, relaxation, and health. There are four regular pools and eight whirlpools, plus more in the Japanese inspired Izumi Bath. 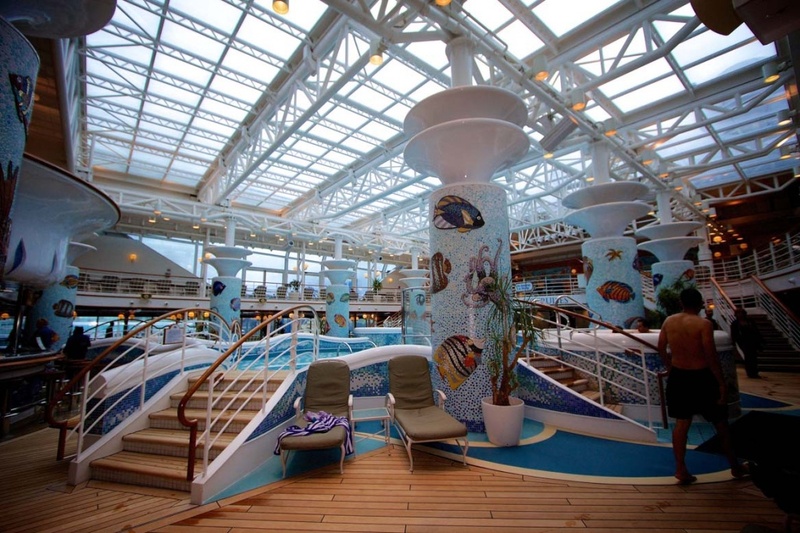 The Calypso Reef & Pool is the indoor option on rainy days. 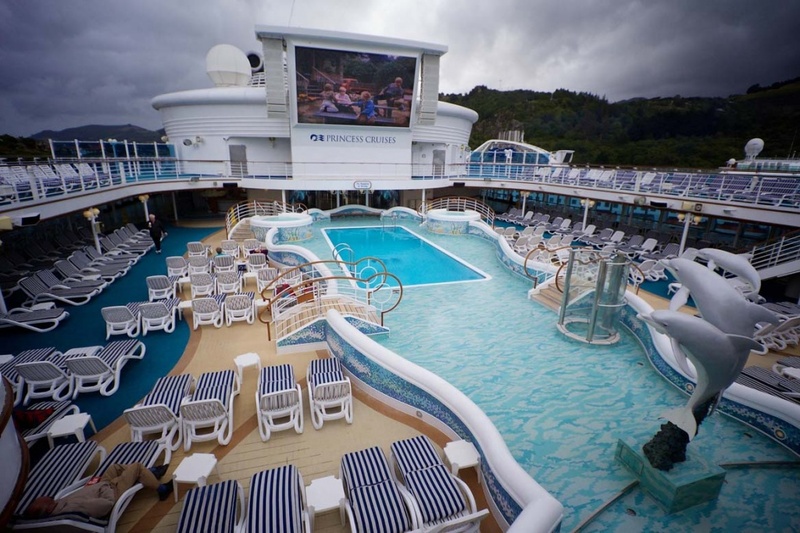 Neptune’s Reef & Pool is the major aquatic shipboard feature located next to Movies Under the Stars. The adults-only Lotus Spa features a swim-against-the-current lap pool. Unique to Diamond Princess, the Izumi Japanese Bath is a traditional Japanese feature which includes indoor areas and a hydrotherapy pool. There are also two indoor and two outdoor whirlpools. This special place also features waterfalls that massage your back and neck and a mist sauna that is infused with the scent of eucalyptus. 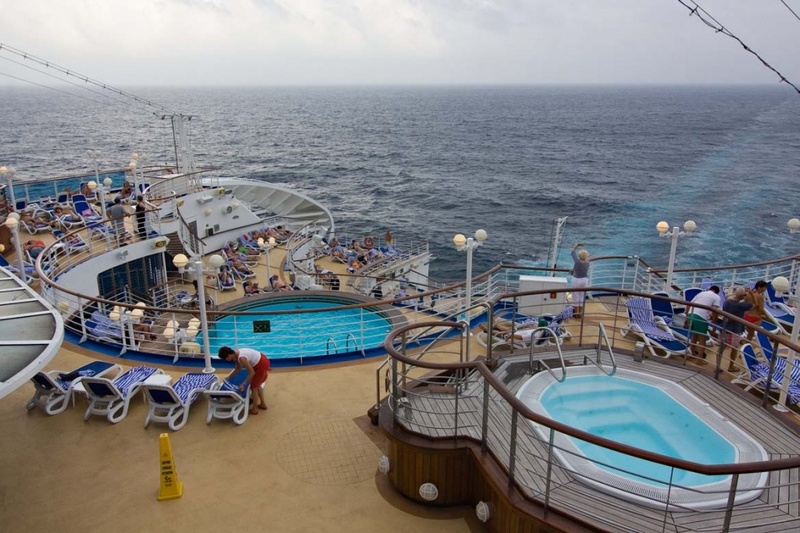 Diamond Princess hosts a fairly small sports deck where passengers exercise on the half size basketball/volleyball court. 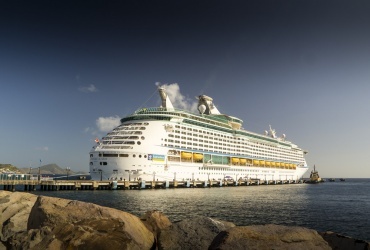 The golf starved can enjoy a round of mini-golf on a nine hole course, and traditional cruise ship shuffleboard is ever-popular. Retail therapy is available for those who need to shop. Outlets selling high-end fashion, jewellery, perfumes and toiletries provide a distraction for people with money to spare. 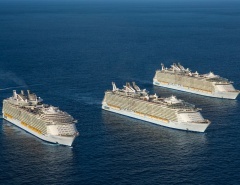 Passengers can update friends back home from the internet cafe or via ship-wide Wi-Fi. The library is a worthy relaxation diversion, and includes books and board games that are free to borrow. 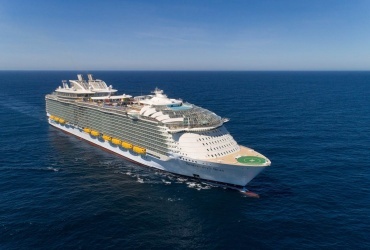 The Casino is fairly small on Diamond Princess, and not as active on tours with a predominance of Japanese passengers, as they are reluctant to gamble lavishly. 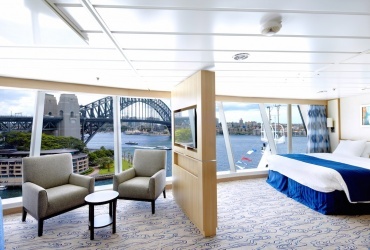 Diamond Princess is a beautifully appointed ship perfect for enjoying voyages around Asia and the South Pacific, and has found a worthy home in Sydney for adventurers ready to set sail. You can download the deck plans from here or click on the image below. Featured post photo by Jerry Dohnal. 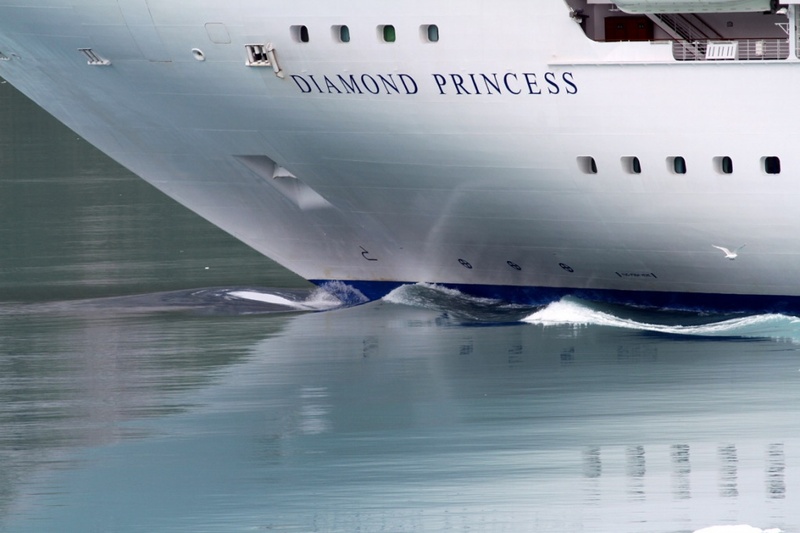 Let me know what you think of the refurbished Diamond Princess!